By Brahmanism I do not mean the power, privileges and interests of Brahmins as a community. That is not the sense in which I am using the word. By Bramhanism I mean the negation of the spirit of Liberty, Equality and Fraternity. In that sense it is rampant in all classes and is not confined to the Brahmins alone though they have been the originators of it. This Brahminism which pervades everywhere and which regulated the thoughts and deeds of all classes is an incontrovertible fact. It is also incontrovertible fact that these Brahmanism gives certain classes a privileged position. It denies a certain other classes even equality of opportunity. The effect of Brahminism are not confined to social rights such as inter-dinning or inter-marriage. If that was so, one would not mind it. But it is not so. It extends to civic rights as distinguished from social rights. Use of public schools, of public wells, of public convenience, of public restaurants are matters of civic rights. Everything which is intended for the public or maintained out of public fund must be open to every citizen. But there are millions to whom these civic rights are denied. Can anybody doubt that this is the result of Brahmanism which has been let loose in this country for thousands of years and which is functioning even now as a live wire? So omnipresent is Brahmanism that it even affects the field of economic opportunities. 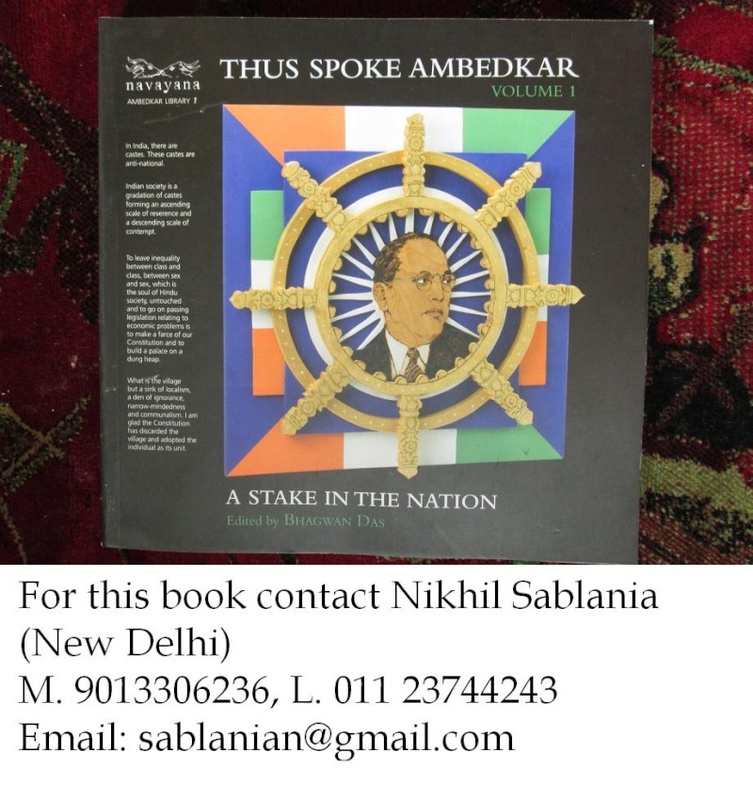 Thus Spoke Ambedkar (English) : This is a collection of speeches delivered by Dr BR Ambedkar at Round Table Conference London and on Communal Award Poona Pact, On Labour Democracy and On the constitution of India (edited by Bhagwan Das who had a good association with Dr Ambedkar) (This is the first volume published on Dr Ambedkar's speeches in the year 1963).